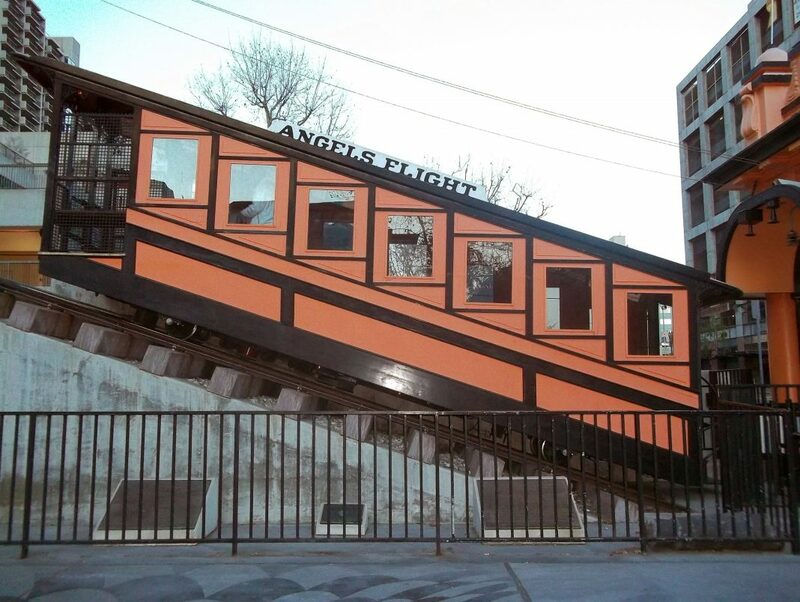 It’s been nearly two years since Angels Flight, the beloved 1901 funicular that shuttles between Grand Central Market and Bunker Hill, downtown, was shut down after one of its cars derailed, and the founders of tour bus company Esotouric Richard Schave and Kim Cooper are tired of waiting. They’ve taken to the Interwebz and started a petition at change.org to get the rickety railway back in action, and they’re just 300 John Hancocks away from reaching their 1,500-signature goal. (It’s not surprising—civic leaders like Adele Yellin are fans of the train.) Their demand: For Eric Garcetti to extricate Angels Flight from the bureaucratic mire it’s trapped in. According to the Schave and Cooper, the Los Angeles Fire Department has inspected the funicular and deemed it safe for use. The California Public Utilities Commision, however, disagrees, insisting that evacuation walkways be built alongside the tracks before the system can reopen. And the Angels Flight Railway Foundation, which owns and operates the train, isn’t too keen on that idea—because why waste money on a safety feature that, according to the petition, “experts have written is unnecessary and even a foreseeable hazard”? Schave says that as things stand, attempts to solve the problem will just prolong the stalemate. The California Occupational Safety and Health Administration—a regulatory agency with oversight of, among other things, roller coasters—could be one. Schave believes the group could handle the situation better than the CPUC. Which is where mayor Garcetti comes in.